The Raspberry Pi HiFiBox DAC module integrates Professional audio decoding chip PCM5122 on board, by using I2S standard port to integrate an audio device decoding system based on Raspberry Pi. 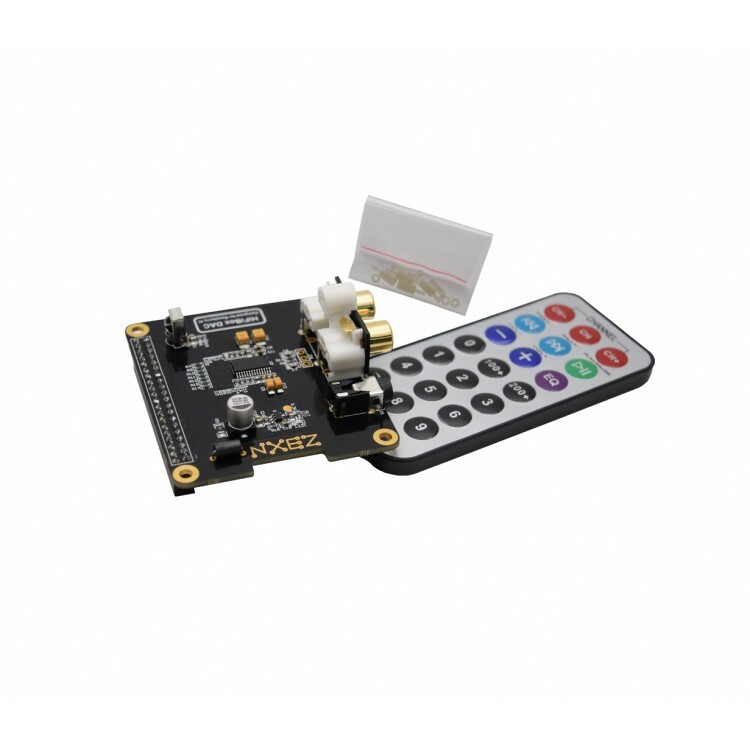 It supports the most popular audio player like Volumio, RuneAudio, OSMC etc, it is the best choice to setup Raspberry Pi HiFi system solution. 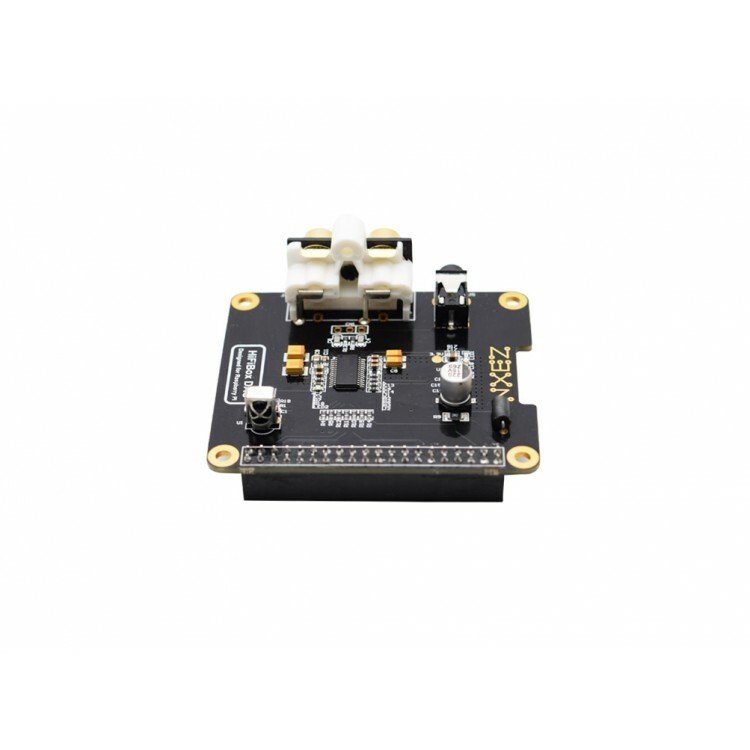 Note: This module is compatible with Raspberry Pi 1 A+, Raspberry Pi 1 B+, Raspberry Pi 2, Raspberry Pi 3, Raspberry Pi Zero. 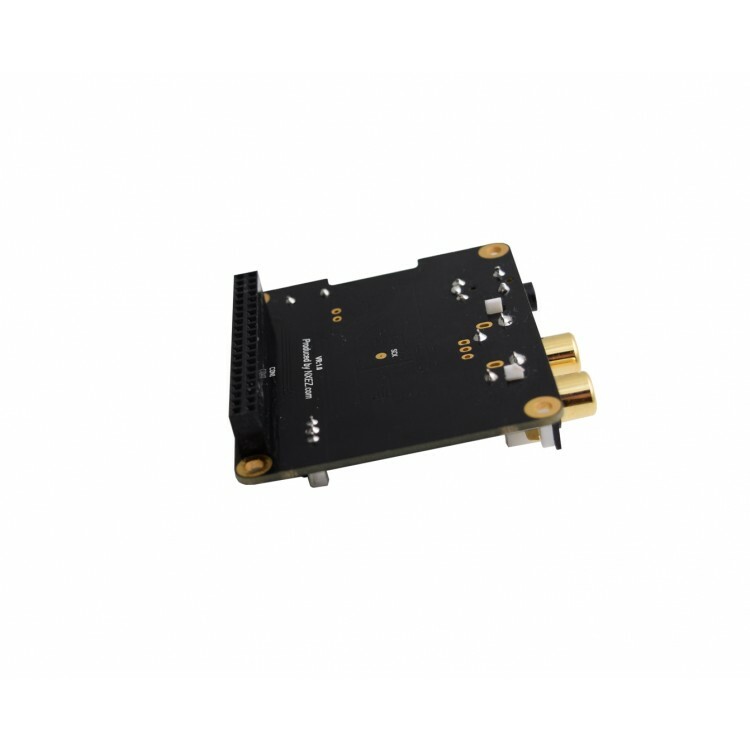 Professional audio decoding chip PCM5122, sample rate can up to 32bit/384kHz, dynamic range 112dB, distortion factor -93db. 3.5mm audio jack supports speaker amplifiers and headset. 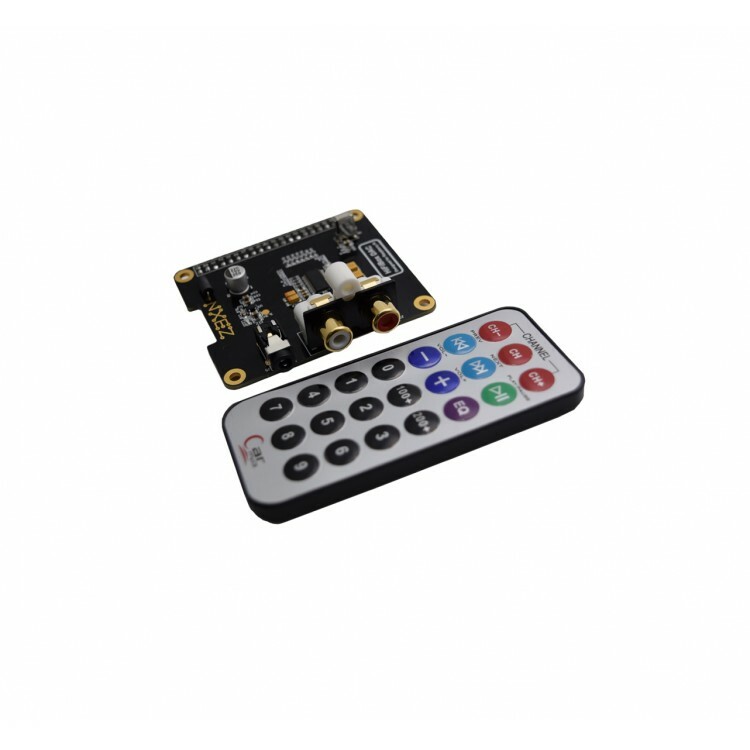 Infrared ray receiver on board, you can control volume and play function by infrared remote controller. Raspberry Pi board friendly design, no wiring work is needed. Support Volumio, RuneAudio, OSMC aduio player application. Support WAV, MP3, AAC, ALAC, PLS etc audio format. Support lossless format. It can read audio resource from Samba, NFS, LAN sharing, U-disk, Mobile HD. Webui web page player supports playing audio by using PC, Pad, Smartphone.